All through the second leg, the gulf in class between Real Madrid and Paris Saint-Germain was clearly visible. 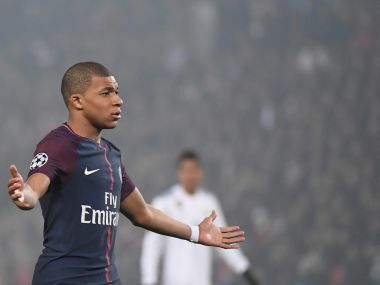 Despite going into the second leg trailing by two goals, there was no real urgency on show from Les Parisiens as they moved the ball around without any real incisive play. Zinedine Zidane's men were comfortable without dominating the match and picked their moments beautifully, killing the tie swiftly. A look at the statistics of the night would be very surprising as a team needing to score a minimum of two goals registered only two shots on target the whole match. Without Neymar in the side, PSG lacked decisiveness going forward. Kylian Mbappe going for individual glory on occasion and Edinson Cavani's wastefulness didn't aid their cause. Angel Di Maria tried to provide the spark necessary but was well controlled by Marcelo and Dani Carvajal whenever he moved in between flanks. 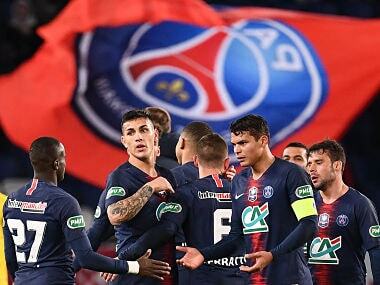 The midfield trio of Marco Verratti, Thiago Motta and Adrien Rabiot lacked inspiration as they were allowed to pass amongst themselves by the Real midfielders, without allowing them the time or space to break in behind the defence. Casemiro and Mateo Kovacic performed their roles admirably, with the former always looking to make crucial interceptions, while the latter used his energetic running to press the PSG midfielders. The PSG Ultras sensed that their team needed some strong support and indulged in a display of flares and strong slogans, but all that did was stop proceedings for a brief period of time due to a flare falling on the pitch, leaving a lot of smoke in the PSG half. 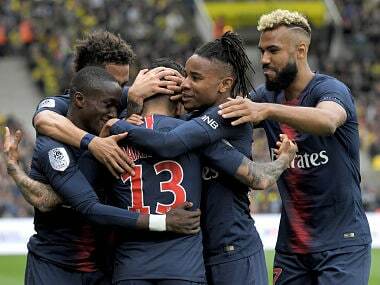 Incidentally, after captain Thiago Silva gestured to the crowd to stop the flares, the away side attacked with precision and got the all-important goal. Going forward, the two-time defending champions looked threatening every time and it came as no surprise when they broke the deadlock and effectively ended the tie through Cristiano Ronaldo's brilliant header. The Spanish giants attacked smartly on the counter through Marco Asensio and Lucas Vasquez and used their directness to complement Ronaldo and Karim Benzema's runs into the box. Following the goal, the French outfit tried their best to put more pressure on the Madrid defence, but Sergio Ramos and Raphael Varane kept them at bay with ease. Soon, the pressure told and Verratti was sent off for a second bookable offence, swearing and gesticulating at the referee when he was not awarded a free-kick. His dismissal reduced his team to 10 men and with four goals needed for progress, ended any chance they had of mounting a comeback. The Unai Emery-coached side did equalise through Cavani, but he had no idea he would score, the ball ricocheting off him from a block by a Real defender to level the score on the night. Just 10 minutes or so after that, the away side ventured on one of their counter-attacking forays, scoring through Casemiro, whose shot was deflected into the net, with Alphonse Areola stranded in goal. The champions did what they needed to control the tie, and took the wind out of the Paris Saint-Germain sails smartly in the second leg. Despite being second-best for the first 30 minutes of the first leg, Zidane's men grew into the tie and showed their true pedigree when it was crunch time in the match at the Santiago Bernabeu. Those late goals from Ronaldo and Marcelo proved their worth in giving the team the cushion for the second leg. This elimination will definitely force a rethink at the management level for the Paris-based side as their solution of throwing money at the biggest players in the world to create a world-beating team is clearly not bearing fruit. The team's Qatari owners have spent close to €1 billion since taking over the club in 2011. The permanent signing of Mbappe for €180 million will take their spending beyond that mark. 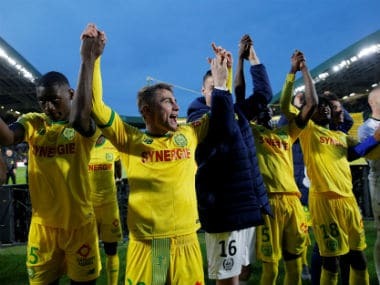 Yet, for all that expenditure, they have yet to reach the semi-finals of the Champions League and have only managed to guarantee success in Ligue 1 and the Cup tournaments, both competitions where rivals are much weaker than PSG. Their summer signings of Neymar and Mbappe were supposed to push them over the edge. Those purchases showed they could do better in the transfer market than traditional bigwigs, dealing a blow to Barcelona (in the case of Neymar) and Manchester City and Real Madrid (who were said to be interested in Mbappe) in the process. Off the field success was expected to help spur the team on to great things. 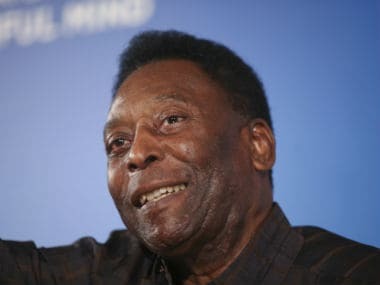 However, the purchases of such expensive players has served to create tensions within the team, putting many players virtually out of commission. Their campaign in Europe started off brightly, as they breezed through their group, demolishing Bayern Munich at home, and were definitely one of the favourites for the tournament. However, the reality check that they have been given by Real Madrid will definitely cause them to evaluate their progress and possibly force them to rebuild from the bottom up, to try and create a culture of success and winning throughout the club. The champions did what they said they would do. It is the only competition this season that they have a chance of winning and their attitude reflected that truth. Zidane's men are close to getting their season back on track after a disastrous start, and a fourth Champions League crown in five years will definitely be on their minds. With Ronaldo providing decisive contributions in the past few games, scoring 15 goals in his last nine matches, the team goes into the business end of the season feeling confident.